This is a family-owned and run winery producing Pinot Noir, Syrah, Chardonnay, and Lucy Rosé from Garys' and Pisoni vineyards in the Santa Lucia Highlands. A third vineyard, Soberanes, was planted in 2008, is owned by the Pisonis and Gary Franscioni and will be a source for Lucia wines beginning in 2011. Gary Pisoni (head guy and viticulturist), Jeff Pisoni (winemaker), Mark and Quinn Pisoni (managers) and assistant winemaker Michael Zardo make up the team. The inaugural vintage was 2000. 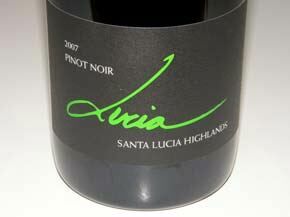 Two Pinot Noirs are produced: a Santa Lucia Highlands appellation blend using fruit from Garys' and Pisoni Vineyards (often a 50/50 mix) and a single-vineyard wine from Garys' Vineyard. The barrel-fermented Chardonnay from Pisoni Vineyards is a blend from multiple blocks, one of which is 30 years old. Although the names Pisoni and Lucia are known for Pinot Noir, I have really been impressed by this Chardonnay year in and year out. 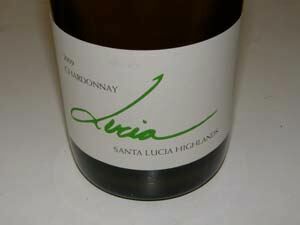 A Lucia Sobranes Vineyard Chardonnay was offered with the 2010 vintage. 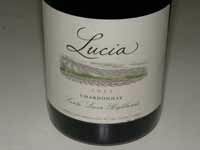 Lucia wines are sold through a mailing list and select retail distribution.